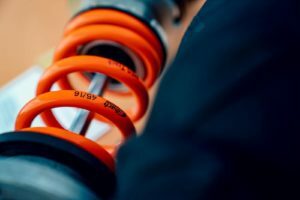 New exciting suspension upgrade available from AmD Tuning. To celebrate this new release we are offering an amazing deal which includes. 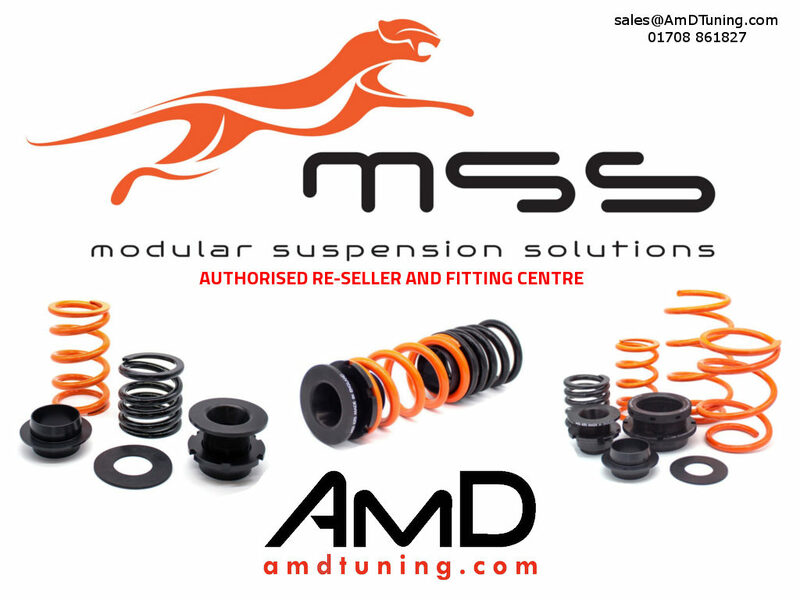 Finally to make the deal even sweeter we are offering 50% off our AmD Tuning Remap when purchased with the MSS Suspension kit. Award-winning Modular Suspension Solutions (MSS) has been designing, engineering and perfecting suspension solutions for over nine years! MSS was created to produce premium coil over kit capabilities and functionalities, whilst retaining the original factory shock absorbers. MSS Streets Ideally suited for everyday use. From commuter to family cars, MSS Streets increases ride comfort, road handling and safety with an easily affordable upgrade. Those who wish can also occasionally use the solution on a race track. MSS Sports Offers a new feel to the vehicle and creates a smoother ride allowing it to flow with the road in trickier moments. A default product for daily use, short journeys and the longer commute, that has been engineered to enhance ride comfort, safety and performance. MSS Sports Our most versatile product in the range, allowing it to straddle both the comfort and performance categories. The carefully selected spring rates enable our engineers to tailor this solution for a wider choice of users. This product is ideal for a wide range of industry sectors such as emergency services, fleet management, commercial vehicles through to the sportier driver making this our best-selling solution. MSS Track Created for car enthusiasts who might push their vehicles to the limit during a track day session, whilst still providing comfort, safety but above all else, performance! Yet you can still retain the ability to use the vehicle on the road. MSS Competition Developed for the advanced track user or the weekend club racer who focuses on performance, high power or highly tuned vehicles that may regularly use slick tyres on race circuits. The setup is firm though not harsh riding, despite its focus on performance. This product can conveniently be driven to and from a race circuit, providing flexibility with versatility. MSS Drag Racing Offers the firmest setup in the MSS range, yet with enough compliance engineered into this product to allow occasional road use. It is not only confined to drag racing, it’s engineered for race circuit used for competition, offering an upgrade on ‘MSS Competition’ where a stiffer setup is needed. It’s an ideal product for maximum Launch Control! • Designed with a unique modular system offering the flexibility to upgrade and interchange your suspension solution to other vehicle platforms without the need to purchase a full new product. • Our products are manufactured using premium grade materials for longevity. This enables us to provide a LIFETIME WARRANTY *1 giving you assurance. • Solutions provide enhanced and enjoyable ride comfort, especially on poorly maintained roads. • The systems are easy to install, plus the vehicle can be put back to the original state at any time, without having made any intrusive changes to the original factory set up. • You can tailor the products to your personal needs (i.e. for Road, Track, Performance Racing etc). • Increased confidence thanks to composed and balanced vehicle handling on dry or wet roads. • Our solution improves vehicle cornering, stability at high speed, whilst reducing dive under braking and squatting under acceleration. • You gain all round ride height adjustability for the advanced vehicle set up, especially for enthusiasts, track users or high load carrying vehicles, such as when towing. • Our front solution on a given vehicle model does not need to be upgraded and works seamlessly with any of our rear solutions on the same vehicle model. • When installed on vehicles with electronic suspension systems, still retain the use of the variable suspension mode, from soft to firm settings. 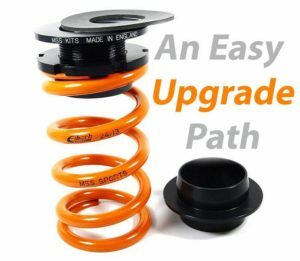 • You can retain the original factory shock absorbers and add ride height adjustment with the uniquely designed MSS patent-pending precision engineered parts.